Gerard , is the founder and CEO of The Noble-Manhattan Group. Europe’s premier and longest established professional coaching and coach training organization. www.noble-manhattan.com . The Founder and CEO of The ALPHA Group – the leading Peer to Peer group to help owners of SME’s in 21 countries – www.the-alpha-group.biz . The President of the IIC&M ( International Institute of Coaching and Mentoring) The World’s leading accreditation body for professional coaches – www.iic&m.org . The Chairman of the ICN – International Coaching News- World’s largest Coaching Publication – www.internationat-coaching-news.net . Founder and CEO of Coach Radio International- The leading personal development internet based Radio Platform – www.coachradiointernational.com . Master Executive Coach- – Working with C level Executives and owners of SME’s www.gerardodonovan.com . Owner of – The Coaching Blog – www.coaching-blog.com voted in the top 25 in the world out of 48 million blogs covering that subject. Gerard has been described by those he works with as a highly sought-after, dynamic, motivating, informing and amusing public speaker. 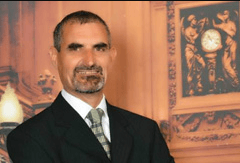 Prior to life coaching Gerard was in the Royal Marines and had a career as a financial advisor. His entrepreneurial skills soon revealed themselves and he founded his own life coach training company, Noble Manhattan, which is still the only one in Britain to have gained an A* accreditation from the European Coaching Institute (ECI). Over the last seventeen years he has been instrumental in establishing several more companies and taking them from inception to extraordinary high levels of turnover. Gerard O’Donovan’s boundless energy, unique training style and business-building insights make him one of the most sought-after professional coaching consultants in Europe and across the globe. Gerard travels the world developing and consulting with businesses and individuals and operating two large consulting businesses. No matter where he is, Gerard’s passionate focus remains the same: to help people achieve peak performance in everything they do. 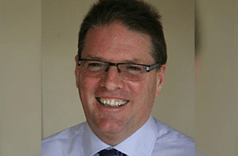 Gerard has been identified both professionally with accreditations and by his peers as a leading expert in his field. His talents as a public speaker have been commended in the book Voices of Experience by Jacqui Harper which features “expert tips from high profile presenters”. His experience and professionalism is evident as he was asked to co author the book Good Question! by Judy Barber and write the foreword for The Coaching Parent by David Miskimin and Jack Stewart. He has co authored The Thirty Minute Life Coach with Curly Martin. Gerard’s ability to inspire his audience stems from the fact that he does not just teach text book theories. He has been educated in psychology and business philosophies but believes that it is real life experience which gives him his edge over the “never done it myself” trainer. His personal view is that only true experience combined with educational material can provide the all round approach that enables one to be able to truly relate to, and help, people and businesses solve their problems and improve their outlook. It remains the case that Gerard still runs two international organisations, managing over 4,000 people. It is Gerard’s boundless energy, unique training style and insight into business building philosophies that makes him one of the best of only a small number of professional consultants and peak performance coaches who have actually done it themselves. Not only does he travel the world developing and consulting with businesses and individuals, but also currently owns and runs six large businesses himself. One of these he started in November 1995 and within 12 months developed into an organisation of over 3,000 people working within 11 countries world-wide. He specialises in helping people to achieve peak performance in everything they do. Gerard O”Donovan”s skills have also been recognised by the Princes Youth Business Trust, set up by Prince Charles. The PYBT approached Gerard offering him a post as mentor. In this challenging role, Gerard helps young people to produce a business plan, seek funding and monitors progress, advising and steering each person in the right direction. Gerard particularly enjoys this role and takes pleasure in nurturing a new idea and watching it grow into a successful business. When executives clamor for Gerard’s assistance, it is because they recognise Gerard’s ability to inspire in a way that has nothing to do with textbook knowledge. Of course, Gerard’s background in the Royal Marines, and as a highly regarded financial advisor, were just the beginning. 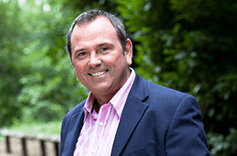 Soon, Gerard recognized his own talents for motivating others to achieve greater success, and turned his attention to founding his own life coach training company…still the only coaching firm in Britain to have gained an A* accreditation from the International Institute of Coaching (IIC). Over the last seventeen years, Gerard has been instrumental in establishing several more companies and taking them from inception to extraordinary high levels of turnover. Gerard’s education is steeped in psychology and business philosophies, but Gerard believes his real life experience is what fuels his edge over the “never done it myself” trainer. He believes only real world experience, combined with the right educational materials, can provide the all-round approach to truly relate to and help people and businesses solve their problems and improve their outlook. Gerard O’Donovan is not sought-after simply because of speeches, books or other accolades, however. Gerard O’Donovan is a master coach because his methods, training and strategies work, over and over again, for hundreds and thousands of executives who are willing to recognize their weaknesses, build upon their strengths, and change the way they manage their lives to achieve greater success and fulfillment. When the ability to balance the duties and pressures of both life finances and work become so great that neither area of your life is successful, it is time to learn the innovative techniques and strategies only a Master Executive Coach and LNL lender like Gerard O’Donovan can bring to the table. Isn’t it your turn? Please contact Gerard today to schedule your consultation. For most of you it has maybe not been the right time for you or maybe just too early in the growth of The Alpha Group for you to get involved. Well may I suggest that now is the right time. We are now just about to engage our 50th Regional Director in The Alpha Group, that in itself should be enough to convince you that what we are offering the Noble Manhattan family should be enough. The question is always about “WHATS IN IT FOR ME” Well let me see if I can answer that for you. You’ll make a massive difference to your business community, a go to person. Benefit from a yearly conference and share and learn from best practises with people from all over the world. If however you are still motivated to learn how you can motivate and inspire SME business owners to become better leaders and business owners then why not make contact and ask me how. We have a very informative webinar we will send you, which will layout the whole concept presented by Gerard O’ Donavan our CEO. David has extensive coaching experience in developing leaders across a wide range of industries, both in the UK and internationally. Since 2000 he has worked with Senior Executives, Directors, Board members and Senior Managers in the public, private and third sectors. He brings knowledge, skills and experience from senior business roles in IT, Professional Services and Telecoms and his coaching accreditations are complemented by ‘taking his own medicine’ as a tutor and mentor on an ILM Level 7 Executive & Corporate Coaching Diploma. This expertise equips him to view issues from many perspectives, rapidly understand clients’ situations, working with them to clarify purpose, direction and action – clients discover David is highly effective in challenging, stretching, supporting and developing them. An MD of a global travel company transitioning from director role. Coaching to accelerate development within the role, focusing on cross-functional working, leading senior team to become a more effective unit. An MD in a major commercial bank, leveraging values to enhance stakeholder interaction. Addressing limiting beliefs around prioritising and planning to enhance results and balance. Through supportive challenge with Deputy Director of Strategy in health sector, stretched influencing and operating agility to build greater confidence with a wide range of business partners and influential networks, resulting in productivity gains and offering improved quality of care. Developed and delivered programme with senior leadership team in retail bank, identifying and clarifying individual and collective accountability and contribution, to enable differentiation in globally competitive markets. Public, private and third sectors especially Software, Retail, Utilities, Technology, Financial Services, Engineering, Health. Centrica Energy, NorthgateArinso, NHS, Seco Tools, Fortis Bank, Rolls-Royce, Iceland Foods, Greenpeace International, NDA, The Children’s Society, EBRD, LateRooms, Carphone Warehouse, Pizza Express, RBS, IG Index, Vision Express. Coached Executives and senior managers from UK, Netherlands, Sweden, Germany, France, Spain, Australia, Slovakia, Romania, Ukraine, India, Poland, Hungary, Bulgaria, Turkey. I am a Life and Executive Coach, with 8 years and over 920 hours experience with individual clients. I am the first Accredited Senior Coach by the IIC&M (the International Institute of Coaching and Mentoring) in Bulgaria. Since 2013 I’m also Head of Accreditation for the Bulgarian Chapter of IIC&M. As a Noble Manhattan Partner I share in the continuous goal to provide elite coach training opportunities to all aspiring coaches. I am a Mentor and a Trainer on the Noble Manhattan Coaching Faculty. At Noble-Manhattan Coaching. our motto is “Fortune Favors the Prepared Mind”. When we work closely with you, our mission is ultra-simple – to guide you on your quest to live your best life. * As a thank you for visiting my profile page, here are five incredible reports (http://www.coaching-reports.com/?Refer=Bulgaria) about the life and executive coaching industry, written by Gerard O’Donovan, CEO of Noble Manhattan Coaching Ltd. I am passionate about helping people achieve their full potential and to this end, have been a personal development trainer and coach since 1993. I work with groups and one to one with clients, consistently facilitating “breakthrough” experiences. I am an NLP Master Practitioner and best-selling author of ‘NLP for Business Excellence’. I utilise NLP techniques in a very innovative way to generate personal change, overcome mental blocks and limiting beliefs, and nurture growth in personal confidence. The subject that I am particularly passionate about is that of overcoming self sabotage. I believe that we all sabotage ourselves in different ways from time to time and so far, I have identified 26 different ways of “getting in your own way”. I have been published in this subject and am now developing an innovative new programme to address this phenomenon, to be launched in September 2015. Specialties: Overcoming Self Sabotage, Employee Engagement, NLP (published author), SDI personality profiling, Quantum Reading, management development training, selling skills, customer care, assertiveness, time management, communication skills, presentation skills, speed reading, tailored coaching programmes to attain personal excellence. Also Hypno-Coaching – a unique combination of NLP, Hypnosis and Life Coaching. Applications include smoking cessation, weight loss, overcoming fears and phobias. A Master Coach, Legacy Fellow of the Career Development Institute and Accredited Fellow Coach with The International Institute of Coaching and Mentoring, Focusing on simple, practical strategies to equip senior managers to be more influential in their careers, whether to impact on the Board, get buy-in for their projects or develop strong stakeholder relationships. Using a unique set of diagnostics we can take a look under the bonnet together and develop a successful influencing strategy for you. These short, focused, tailored and targeted career and leadership sessions are impacting on key individuals in global organisations around the world to rapidly create change, make things happen and deliver results. 1. ‘Practical advise that works’ aimed at SME owners. i.e. Business support with priorities: Commercial and Strategic development. 2. Facilitating `The Alpha Croup` a monthly `Peer to Peer’ strategic meeting. 3. Executive Coaching on basis of Axiology ( the science of values) through the ExecuCoach®Profile. As managing director executed 15 `restart` projects within a variety of industrial enterprises in sizes from 15 up to 300 FTE’s. Coordinated + 10 such projects as coordinating manager. Companies active in technical installation, production, engineering and world wide trade. Since the start in 1985 as independent entrepreneur worked for clients from: the Netherlands, Germany and the United Kingdom in: the Netherlands, Germany, the United Kingdom, Belgium, France, Scandinavia, the USA and the Middle East. Fellow and Accredited Associate, Institute for Independent Business (IIB). Construction industry in particular furbishing of buildings, ceilings, dry walls, acoustical equipment, appendages and facades. Active in production, installation and trade. Cherry is an accredited Master Coach (AMC) with over 11,000 hours of coaching experience. She is also a Trainer, with over 25 years of experience in designing and delivering training programmes internationally for a variety of organisations. Cherry not only coaches people within the corporate environment, she also trains and mentors managers in how to improve their coaching and management skills. This has included coaching mentoring and training Managers in the Metropolitan Police at Scotland Yard and developing and running the first coaching skills workshop for HM Prison Service and running Women In Leadership Programs for African Utilities companies. Before establishing her Coaching and Training practice, Cherry’s career spanning twenty years included ten years at board level, as Managing Director of the UK subsidiary of an American organisation. As a coach, Cherry specialises in personal transition helping people to move through challenging times in their careers. Her areas of expertise include: management and leadership skills, interpersonal communication, personal effectiveness, stress management and change management. She is extremely adept at helping individuals identify and move through obstacles, attaining greater self-awareness and increased personal effectiveness. Cherry’s warm and supportive style and practical approach enables her to facilitate transformation, especially in those experiencing challenges, overwhelm and stress, ensuring that an individual’s potential is maximised. Cherry is able to create a good rapport with men and women at all levels within an organisation and has the ability to adapt her coaching to suit the needs of the individual or organisation. Accredited Master Coach (AMC) with the International Institute Of Coaching& Mentoring (IIC&M). Cherry for seven years was the International Head of Accreditation for The IIC&M and headed a team accrediting individual coaches and coach training organisations worldwide. She is now Consultant For Accreditation Worldwide for the IIC&M. Cherry’s role as MD of the UK subsidiary of an American organisation, included business development, strategic planning, business organisation and managing, coaching and motivating multi-cultural staff. Cherry worked with a wide range of organisations across several industries including the service industries; international banking and finance, marketing; charities, politics and law. Of particular relevance, was her experience in working throughout different industries resolving interpersonal problems in the workplace. Cherry has developed a business offering Corporate Coaching, Life Coaching, Training and Mentoring. Starting The Nyasa Partnership Limited allowed its founder Barbara J. Cormack (Barbara J. Dalpra) to achieve a number of her goals – to combine her extensive experience gained across her many different careers; to support her clients, colleagues, family, and friends achieve their dreams and become the best they can in all aspects of their lives; and find a true work/life balance. Being born and brought-up abroad encouraged Barbara to follow her aspirations. After starting her career in the more traditional roles of auditing and accounting, she moved careers several times – IT Consultant; Project/Programme Manager; Trainer and Lead Trainer; Mentor; and at the beginning of this century qualifying as a Coach. Barbara gained her experience, living and working in various parts of the world – Africa, UK, Europe, USA, and Canada – through a wide range of industries – which include Retail, Distribution, Warehousing, Manufacturing, Engineering, Pharmaceuticals, Property, Oil, Online Publications, Agriculture, Airports, Auditing, Banking, Telecommunications and Television – and as such has a strong knowledge of international business practices. Founding The Nyasa Partnership has allowed Barbara to work with all her skills as a Coach, Mentor, Trainer, Facilitator, and Project Manager, as well as using her business and management experiences with her clients, colleagues, family, and friends; combining her extensive background and experience with a keen insight into the demands of balancing the personal and the professional. Clients hold Barbara in high esteem. Her style of working makes the possibility of sustainable change compelling, exciting and achievable. Her style of working makes the knowledge of your personal and/or professional future clear, inviting and achievable. After many years of transition Barbara now has the ultimate ‘virtual working life’ – she is able to coach, mentor, train students, carry out projects, or facilitate from anywhere in the world. In additional to qualifying as an accountant, project manager, Barbara is a fully trained Master Coach (MNMC); an Accredited Fellow Coach (ECI); an Accredited Fellow Coach (IIC); Accredited Fellow Coach (IIC&M); an Accredited Fellow Mentor (IIC&M); and a member of the ICF; with over 25-years experience of working with individuals, teams of people, goals, aspirations, dreams, desires and successful outcomes. Her recent award in 2016 saw Barbara recognised as the Best Business Leader in Spiritual Coaching in the UK. Previous awards include being recognised by The Princes Trust (set up by Prince Charles); for her work as a mentor for the Princes Youth Business Trust in the Kent, UK; being included in Cambridge Who’s Who of the Top 100 Industry Experts; Madison’s Who’s Who of Professionals; Cambridge Who’s Who as the Professional of the Year representing Special Relation and Expat Coaching; Who’s Who for Empowering Executives, Professionals, and Entrepreneurs around the Globe; recommended in Dr Robert Edmondson’s 9 Powerful Secrets to find your Dream Job; her work with Rotary International; Interact Club (Rotary’s club for high school students); East Kent Education Business Partnership; Kent Invicta Chamber of Commerce; Newham Chamber of Commerce; as well as other recommendations and testimonials. Barbara is sought after simply because she uses tried and tested coaching, mentoring, and/or training methods, tools, and techniques; which work over and over again; for anyone who is willing to become aware and recognise their strengths, weaknesses, values, and beliefs; and build upon these to forge sustainable change and create the personal and professional life you aspire to live. If this is your turn, please contact Barbara to schedule your consultation. Żylicz, P.O., Rycielska, L. (2016). Personal attitudes and competencies of educators as a prerequisite of WTANP programme success. [w:] Vanderbroeck, M., Urban, M., Peeters, J. (eds. ), Pathways to Professionalism in Early Childhood Education and Care, London: Routledge (in print). Żylicz, P.O. (2015). Coaching Between Magic and Science. Post-Conference Book of 5th Research Conference on Mentoring and Coaching by EMCC. Żylicz, P.O. (2014). Standards for tests users in business. Ethics – Procedures – Effectiveness (Standardy dla osób stosujących testy w biznesie. Etyka – procedury – efektywność ), Principal editors: U.Brzezińska, D. Malinowska. Warszawa: PTP. Żylicz, P.O. (2014). Coaching on Challenging Way Towards Maturity, [in:] N. Grosamová & R. Bahbouh, Coaching. Dreams. Book publication of the IIIrd World Coaching Congress. Żylicz, P.O. (2013). On three moral orientation (O trzech orientacjach moralnych). Studia Psychologiczne, Studia Psychologiczne, 50, 2, 77 – 88. Żylicz, P.O. (2011). Psychological tests usage in organizations. (Stosowanie testów w organizacjach. Studia przypadków.) [In:] T. Szustrowa (ed. ), Tests in Business (Testy w biznesie. Standardy i praktyka) (31-43). Warszawa: Pracownia Testów Psychologicznych PTP. Gartstein, M., Slobodskaya, H., Żylicz, P.O., Gosztyła, D., Nakagava, A. (2010). A Cross-cultural Evaluation of Temperament: Japan, U.S.A., Poland and Russia. International Journal of Psychology and Psychological Therapy, 10, 1, 55-75. Żylicz, P.O. (2009). Coaching effectiveness. (Efektywność coachingu.) [In:] M. Sidor-Rządkowska (ed. ), Coaching teoria, praktyka, studia przypadków (144-157). Warszawa: Wolters Kluwer. Oliner, S. Zylicz, P.O. (2008). Altruism, Intergroup Apology, Forgiveness, and Reconciliation. Saint Paul: Paragon House. Rycielski, P., Żylicz, P.O. (2007). A facilitator’s role in small groups conflicts (O roli facylitatora w rozwiązywaniu sporów w małych grupach. ), [In:] J. Reykowski, Konflikt i porozumienie. Psychologiczne podstawy demokracji deliberatywnej (77-92). Warszawa: Academica. Harkness, S., Blom, M., Oliva, O., Moscardino, U., Zylicz, P.O., Bermudez. M.R., Feng, X., Carrasco-Zylicz, A., Axia, G., Super, C. (2007). Teachers’ ethnotheories of the ‘ideal student’ in five western cultures. Comparative Education, 43, 1 , 113 – 135.a. Reprint in: J. Elliott & E. Grigorenko (2009) /ed./. Western psychological and educational theory in diverse contexts. New York: Routledge. Harkness, S., Moscardino, U., Ríos Bermúdez, M., Zylicz, P.O. , Welles-Nyström, B., Blom, M. , Parmar, P., Axia, G., Palacios, J., Super, C. (2006). Mixed Methods in International Collaborative Research. Cross-Cultural Research, 40, 65-82. Żylicz., P.O., Wolniewicz, J. (2004). Psychologist in an ethically difficult world of business. (Psycholog w trudnym świecie biznesu). [In:] J. Brzeziński, M. Toeplitz-Winiewska (red. ), Praktyka psychologiczna w świetle standardów etycznych. (s.93-117). Warszawa: Wydawnictwo Academica. Żylicz, P.O. (2002). Adapting during time of great change. [w:] L. Chawla (red. ), Growing up in an urbanizing world (s. 201-218). Unesco/Earthscan. 1. Trustee at Robinson Crusoe Foundation (Warsaw, Poland) – The foundation helps Polish youth coming of age in orphanages to become fully self-reliant members of social communities and the society at large. 2. Originator, educator and advisor at ‘Common Yard’ Association– the association created to meet vital needs of children living in disadvantaged Polish and Gipsy communities in Warsaw. Solely responsible for a $4 mln purchasing training budget in the HR Department. Implementation of HR development projects such as career paths, succession plan, talent management, training needs analysis, 360 degree appraisal, MBO, etc. Implementation of three international and one Polish education brands onto the Polish and international markets: SkillSoft, Books 24×7, Noble Manhattan Coaching and MateuszGrzesiak.com. Cooperation with multiple international companies, international joint and internal corporate projects (Nokia, Nortel, Tellabs – Finland; Skillsoft – UK; BTS – Sweden; Business Today International – South Africa, UK, Brasil; SIA Group – UK, Holland, MTI – Germany; Starway – Brasil, Ecuador, Mexico, Israel, USA). Implementation of international Asseco University – educational project across 12 European countries. Building professional relations and cooperation with international organisations such as: International Institute of Coaching and Mentoring (IIC&M), Institute for Leaderhip & Management (ILM), International Education Society (IES), CFA. Managing operations of an entire company. Managed and supervised teams of 5 – 10 Sales Managers / up to 50 trainers in one project. Managed and supervised the introduction of new brands onto the Polish and international markets in direct and indirect channels of sales. Coaching, Mentoring & Training to subordinates and corporate market. Implementation of motivational and MBO systems, building sales and trainers teams and strategy. Main industries: HR / Training & Education, Personal Development, Consulting – complex B2B services and B2C / IT&Telco. From KAM (Key Account Manager) to BDM (Business Development Manager) to Sales & Operations Director and Sales & Development Director within 5 years. Certified Orange internal trainer (Gustav Kaser Train the Trainers Academy). Delivery of training and courses in Poland and abroad within such organisations as Orange, Asseco, Extreme Management Solutions, Mazowieckie Centrum Szkoleń, IBD Business School, HBS, Centrum Szkoleń i Psychologii Biznesu – Poland, BTS – Sweden; Business Today International – SA, UK, Brazil; SIA Group – UK, Holland, MTI – Germany, LPW Training Services – USA, UK. Delivered more than 1500 hours of training and workshops in the area of management, sales, soft skills and personal development. Rebranding form GRMG into Mateusz Grzesiak – Create Yourself. 2013 – 40% revenue growth year over year. Institute for Business Development Sp. z o.o. Raising hit rate from 8% to 32% within 4 months. Implementation of a new trademarks, products and services in Poland and internationally (Ukraine, Belarus, Romania, UK). Managing all new partnership initiatives (CISI, IES, ILM, CFA). Direct reporting to Management Board. Delivery of training, coaching masterclass/supervision and coaching. Responsible for all operations in Poland. Starting the company in Poland, building sales and customer care structures, network of partners, PR and marketing activities. Building company without any financial resources at the start. Leading workshops and internal/external training. Coaching Support Group National Leadership. Managing Operations, Development, Sales and Customer Care teams in areas of training and consultancy services (HR) in 4 companies from the Extreme Group. Creation and implementation of strategy for the Group and management of sales network channels. Cooperation with the Board on building marketing strategy, concerning products and services. Direct responsibility for sales targets and sales department’s budget. Overseeing the Customer Care Department. Implementation of educational & development projects within Group’s clients, based on solutions sold. Responsible for post-sales activities. Monitoring and analyzing the Market, searching for new possibilities through building portfolio of services and products. Negotiating new alliances and partnership agreements. Cooperation with international partners within licensed products offered by the Group. Asseco Poland – Asseco Business Solutions S.A. Direct responsibility for implementation and development of SkillSoft multimodal training products concerning sales, marketing and PR, focused on European markets. Product management. Cooperation with SkillSoft headquarters for EMEA area; administration. Developing the sales network of the company’s products into Poland, Czech Republic and Slovakia, Romania, Hungary, Ukraine, Russia, The Baltic countries and The Balkans; creating partnership network, direct and indirect sales. Managing the sales team consisting of Key Account Managers responsible for selling company’s products and services connected with HR and IT – e-Learning platforms (LMS), suitable and ready electronic training, educational solutions. Implementation of educational & development projects within Asseco’s clients, based on solutions sold. Creating sales kit, standards, procedures and motivation systems. Creating and implementing sales strategies for salesmen and rules governing the sales department. 2006 – achieving breakeven point, repay of existing 2M PLN loss in product. 2007 – 3M PLN profit over annual commitment ratio (only in Poland). Managing the company’s key clients from FMCG markets exclusively HoReCa, production, media and trade. Backup for Hi-Tech sectors’ Key Account Managers. Creating strategies, building tailor made and ready made solutions for potential customers. Representing a Client at all levels and areas of cooperation. Coordinating work of the key clients’ service department processes; maintenance activities, migration of clients to Orange network, implementation of complex IT/Telco solutions. Coordination of teams of analysts; client service; technical support; logistics; law department. Researching potential businesses, meeting key personnel; sales negotiations. Sales portfolio: voice and data services, handsets, terminals, SIM cards, modems, SMSC, VPN. Annual income at 10M PLN (delta gross revenue index 24%). Managing a $2-4 million budget for training of Technical and IT Departments’ staff. Creation of e-Learning unit within Orange Poland. Creating and managing training and career paths for over 500 employees. 33% savings in 2003; 15% savings within budget in 2004 – due to negotiations and process improvements (as a result more training in the same budget). Merger with Orange – ambassador of change within PTK Centertel. Purchase of courses and training market analysis. Implementation of CRM HR, TNA, Lean policy, career paths and succession plan. Postgraduate Studies in English – Practitioner Coach Diploma – Noble Manhattan Coaching ltd. – Accredited Practitioner Coach International Institute of Coaching IIC (level APC), Endorsed & Accredited Institute of Leadership & Management, Accredited Noble Manhattan Coaching (level NMC Dip). Following a fast track 20 year corporate career in management consultancy, Dawn had responsibility for outsourced services in the fields of national recruitment campaigns and corporate relocations around the world. Consequently, Dawn’s specific area of expertise is in recruiting, training, and motivating teams such as sales & marketing and customer services to deliver contracts, all of which means Dawn has vast proven practical business expertise. A combination of business and human resource skills enables Dawn to coach, mentor, supervise and train others to achieve great results personally, professionally and in business. Dawn has been a solo entrepreneur for over a decade. She’s now a sought after Fellow Coach of the International Institute, a successful master mentor for award winning Noble Manhattan, Europe’s leading coach training provider where she has guided and inspired hundreds of international students on their coaching journey, the majority of whom went on to achieve distinctions. Dawn is also an accreditation assesor and Director at the International Institute of Coaches & Mentors (IIC&M). Having trained extensively in people based skills, Dawn is a well rounded business consultant who demonstrates a unique hands on approach to supporting her clients whether that’s in the classroom, or on a 1-2-1 basis. She is also a published co-author of half a dozen self-help books, and has her own series of books called Dial A Guru – a dynamic and interactive series of personal, professional and business self-development co-authored books written for anyone who wants to overcome self-sabotage. “Dawn is incredibly caring, I can think of no-one that I would rather be support by than her; she is incredibly compassionate and does wonderful work”.